There is a time to weep; there is a time to laugh... The year is filled with its ups and downs, good days and bad days, easy moments and challenging ones. Our own personal journey of return during this High Holiday season can also be filled with ups and downs. If we make an honest assessment of what the last 11 ½ months looked like and evaluated that against our true potential, it may not look all that pretty. I think you'll agree? So if you have been taking stock of your relationship with the Master of the Universe and you aren't feeling all that good about yourself, I have some good news for you. This Shabbat is Chai (18) Elul. The Chasidic adage says that Chai Elul infuses life into the spiritual service of Elul. This is the birthday of both the Ba'al Shem Tov (founder of the Chasidic movement) and the Alter Rebbe (founder of the Chabad Movement), and the day that the Ba'al Shem Tov began his efforts in spreading the teachings of Chasidus (Chasidic Philosophy). With an understanding of our true purpose on this earth and a glimpse into G-d's master plan, we can be more at peace with ourselves and accepting of our shortcomings. But not in a manner that we become complacent but that we become empowered to do more. Put it in these terms: G-d finds us important enough and significant enough in His master plan that our actions both good and bad are relevant to Him. So if you are feeling down, it's time to shift focus. The fact that you have been created and placed upon this earth is G-d's way of saying - YOU MATTER! That's an empowering thought! We are one week into the final month of the Jewish calendar year - Elul. What follows are some thoughts about this special month. Shofar: It is a tradition that each day until Rosh Hashanah (excluding Erev Rosh Hashanah) we blow the Shofar. The sound of the Shofar is a calling to attention as characterized with this passage from the famed Rambam. "Arise, sleepers, from your sleep! And you slumberers, awaken from your slumber! Search your deeds and return in repentance and remember your Creator! Those who forget the truth in the vanities of the time and waste all their years in vanity and emptiness that will not avail or save, look to your souls and improve your ways and actions! Let each of you leave his negative path and his thought that is not virtuous." Ani Lidodi Vidodi Li: I am to my Beloved and my Beloved is to me. In Hebrew the first letters of this verse spell out the name of the month of Elul. For many this is a month of repentance and asking G-d for forgiveness. In Chabad philosophy, repentance and forgiveness are ideally expressions of a strengthening of the relationship. Hurting another is a symptom of a relationship that one no longer appreciates on a deep level. To repair that, one needs to focus on repairing the core of the relationship and then the negative symptoms will disappear. This is the meaning of this verse - I am to my beloved and my beloved is to me. Through focusing on the relationship we achieve the goals of the month of Elul. Exile - Ina Liyado Visamti Loch: "If G-d let (the sin) come to his hand, then I will appoint a place for you to flee there" (Exodus 21:13). In Hebrew again the first letters spell out the name of the month Elul. The Torah has an interesting law regarding a mistaken murder. In certain circumstances, when one kills another without intent the Torah provides a "City of Refuge". In fact there were six such cities in the land conquered by the Jews in the times of Joshua. The month of Elul is a metaphor for these cities. Murder is the taking of life. Our G-dly soul is alive with, well, G-dliness. Our Animal soul through physical indulgences takes the life from the G-dly soul. Once our G-dly soul loses its spiritual sensitivity it is all spirals from there. As a consequence for this act of spiritual life taking, and to help our G-dly soul reconnect with its Divine spark and spiritual sensitivity we must go into exile. Exile in this context means putting ourselves into a space where we put our priorities back in order. Elul is such a time. Elul is a time for us to work a little less, pray a bit more, take spiritual stock of where we are up to in life and where our connections ought to be. Stocktaking: Do you own a business? Do you have product to sell? Imagine if you never stopped to look at your balance sheet, or your inventory? That's right you wouldn't know if you make money or lost money. You might be spinning your wheels an entire year before you realize that something is wrong. Elul is time to stop and see how sales have been, how our inventory looks. What commitments did I keep? Which ones did I not? Where did I grow this year, where did I fall short? Which product sold well, which product do I need to discard? Just as inventory requires closing the store, shutting the phone off, taking some time - so too our spiritual stocktaking requires that focus. Be Inscribed: It is customary from the first day of Elul to wish each other the traditional blessing of, "May you be inscribed and sealed in the book of life!" Consider putting this in your email or other correspondence during the next few weeks. Hu man (hy m n) adj. Having or showing those positive aspects of nature and character regarded as distinguishing humans from other animals. What makes the human different from an animal? What is the defining difference between man and animal? The significant human "positive aspect” would seem to be the "intellect"; that man can think for themselves. By looking at a verse in this week’s torah portion, we may be able to decide. It is written: "the tree of the field a man" Deuteronomy 20;19 Our sages say this teaches us that the defining difference of man is in his similarity to a tree. According to Kabbalah Adam, the Hebrew word for man, symbolizes intellect , and a tree that grows symbolizes emotion. Therefore the defining attribute of man is when he is “like a tree”. Just like a tree (food) sustains man who is greater then a tree, so too man must make sure that his emotions sustain his intellect. That his intellect should effect his action and he too will give back to society. It is not ok to be immoral with lofty ideas, one must be moral and make lofty plans that effect our lives on a practical level. This must be so ingrained that the “emotion” will cause the intellect to be richer and deeper. We can do this in our own lives; by working to add an aspect of what we know is right and correct and implementing it in our lives. 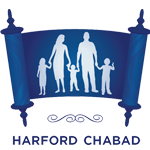 It can be working on our relationships with our spouses or children, it can be helping the poor man on the street, it can be lighting Shabbat candles to bring light into the world or it can be telling another local Jew about Chabad of Harford County ;). You should be inscribed in the book of life. Are you the kind of person that waits until crunch time to get the job done? Do you work best under pressure? Most of the time it is arguably alright to wait until the last minute, provided that you are actually good at getting the job done correctly even with so little time. Sometime though waiting until the end (even if you get the job done) is detrimental to the very essence of the job. Let me explain. Next Wednesday, August 11th will be the first day of the month of Elul on the Jewish Calendar. Elul is a month of preparation for Rosh Hashanah and the days of Awe. G-d in His mercy, gave us an entire month to prepare for Rosh Hashanah so we don't show up in the King's palace in our peasant clothing. But as we say in Yiddish, vus far a punim hut es (what kind of appearance does it have), when you show up every year and start getting your act together just in preparation for Rosh Hashanah? Are we being genuine? The short answer is yes. Every soul yearns for profound spiritual and divine connection all the time. But the challenges of life preclude us from being super conscious of that desire all the time. When Rosh Hashanah is on the horizon, we begin to become inspired and our soul breaks free from its confines and wants that connenction again. So, the real question is when our soul is awake do we respond genuinely to that inner burning yearning for connection? But if we don't wait until crunch time (the month of preparation) and begin preparing ourselves before next Wedensday and the start of the month of Elul, then we are actually showing that our desire to get our act together is who we really are, even before our soul begins to stir. So what are we waiting for?